Björk is a brilliantly gifted Icelandic singer-songwriter, composer, actress and music producer, best known for her beautiful voice and outlandish fashion statements. 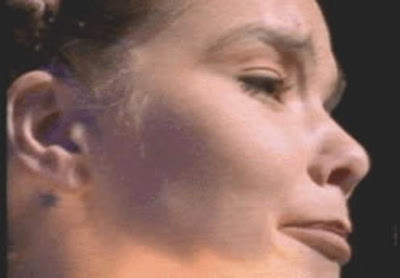 Björk has two viable tattoos which we are aware of, including a small star behind her right ear. Her other tattoo design is of the "Vegvisir" (Viking Compass) and is located on her left arm. 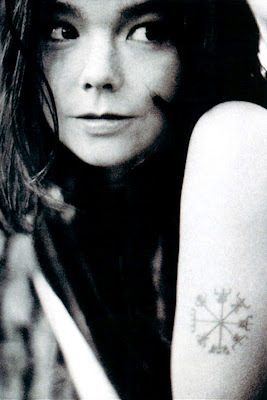 Björk has described this tattoo as "It's so I don't get lost" "If the Vikings had bad weather or fog, they used to draw it on their foreheads with a piece of coal. I thought that was a bit much, so I put it there"